The devil, they say, is in the details. 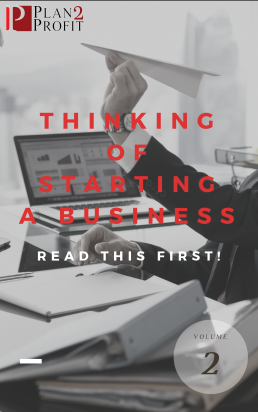 Before you start a new business, it is imperative that you clearly identify all your start-up costs. You need to know “before” you open exactly what it will cost you to do so. This is important because once you have identified your start-up costs, you will see what money you have and what money you need to secure from an outside source. If your start-up costs are $150,000 and you have $25,000 then the balance or $125,000 is what you are looking for from a lender or investor. So, what qualifies as a start-up cost? Let’s start with the basics, and this means understanding how start-up costs are categorized. All start-up costs – the period before you start generating income – include two kinds of spending: assets and expenses. Assets are one-time costs and include such things as Capital Improvements, Furniture and Fixtures, Equipment and the like. Expenses are the costs for operations that occur during the start-up phase, although they will continue throughout the life of the business and include things such as rent, utilities, marketing, payroll etc. Paying for a business plan. You need a business plan which is a nuts and bolts document that proves what you think is a good idea is a viable and sustainable business concept. And that’s what our plans do. They include a detailed two-year financial forecast, including projected sales, revenues, costs, expenses and income that address the financial details of your business. They also include a five-year summary forecast that will support you in securing financing from investors, banks, or VC’s. They will also clearly state the start‑up costs that you are likely to have when setting up your business.